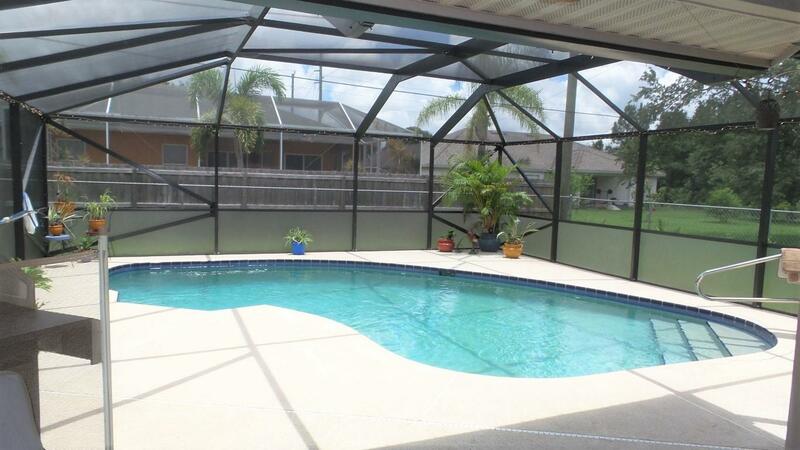 Beautiful 3 Bedroom, 2 Bathroom, 2 Car Garage Pool Home on Quiet Street in Great Location. Formal Living Room with Large Bay Window, Formal Dining Room, Separate Family Room and Skylight in Kitchen Brightens the Whole Area. The Master Suite has a Walk in Closet, Separate Shower, Roman Tub and Door Leading Out to the Screened Pool/Patio Area. Home also has Trussed Lanai Area and Fenced Yard with Shed. A/C in 2007, Hot Water Heater 2016, Roof Replaced in 2005, Pool Pump 2014. Within Minutes of I-95, Shopping and Saint Lucie West. This Home is a Must See! !